It's 2014, and I'm not even going to talk about 2013, other than to laugh that I wrote in 2012 that 2013 was going to be an epic year. Well, it certainly was epic, that's for sure! My goal this year is to set no firm goals. This year I want to live purely in the moment, and look for things that I may have been overlooking my entire life. 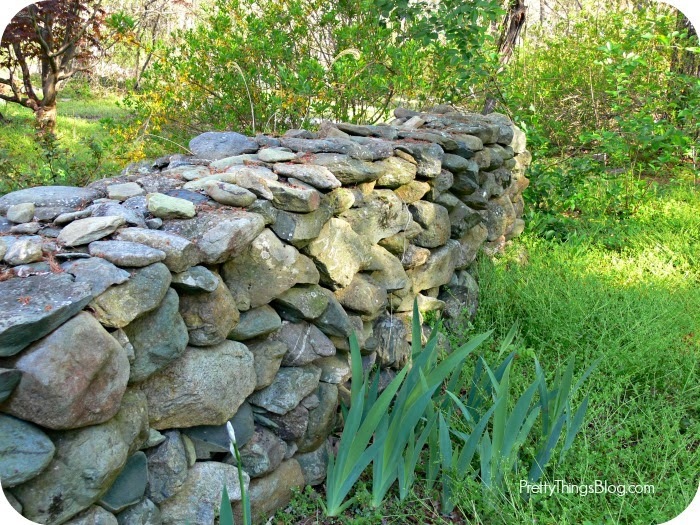 For instance, how random shapes of rocks can make a sturdy wall.... and the arrival of spring flowers. That's not to say I won't be planning blog hops. 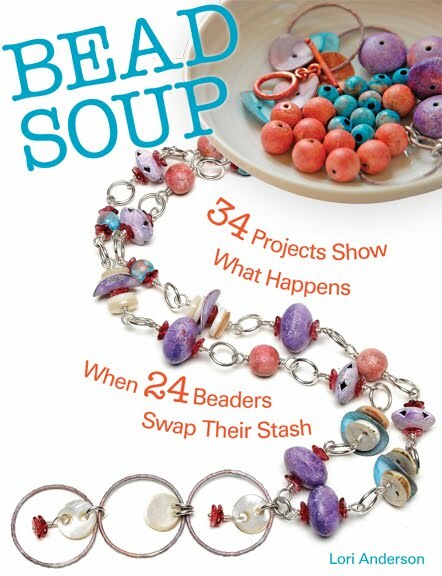 There will soon be sign ups for the Bead Soup Blog Party®, and I'm planning a Pantone bead swap very soon as well as a doing the Bead Hoarder's Blog Hop in the summer since last year was so much fun, and the addition of the Go Big or Go Home Blog Hop, date to be announced, where the focus will be on beads larger than an inch. Otherwise, I'm going to go with the flow. To do that, I wanted to go back to actual writing on paper -- journaling. I don't have the time or the energy to write and paste in menus and tickets and pictures like I did for years, but I DID think it would be interesting to see what, if anything, could change in me in five years. I turn 45 this year, so when the journal is done, I'll be 50, and I think it would be a marvelous present to myself to have five years of "look at what happened!" to peruse. Now I want to share this journaling challenge with you. I'm giving away four Five Year Journals. These are awesome for those who have no time as all you have to do is a write a sentence or two over the course of five years. And these particular journals, "Q&A a Day" and "The Happiness Project", also have wonderful prompts and inspirational quotes. I'm giving away four copies, one to four people. To be put in the running, just comment below and be SURE your name links to your blog, if have have one, and that your email is linked on that page. So many people lose out when they have their "About Me" page linked to Google+ or don't have their email filled out in their profile. I just have no way to track you down. 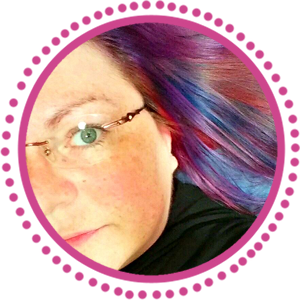 So if you aren't sure, check your "About Me" page or anything similar and make sure people can reach you. Not required, but it would be lovely if you would let others know about the giveaway. International IS included. It just might take a little while because holy smokes, but one of my contest winners from APRIL just NOW got her gift. Gracious sakes. My next five years will be filled with the joy of a little boy that was never expected! Hope your next 5 are wondrous as well, Lori. Lori, what a fabulous giveaway. You are so inspiring to others, and I wish you the best year for 2014: that you keep progressing health wise and that you stay happy, and creative! Don't forget to make time for you! Oh, I would love to win one of these journals! I've actually been planning on doing more journaling this year as well, and have been searching for the right journal to do so... One of these would be just right! I'm turning 45 this year too! What a great giveaway Lori! Thanks for the opportunity! What a great concept for journaling. I love the idea of looking back over 5 years of brief notes and seeing how time has elapsed. Thanks so much for the chance to win a copy! What fun Lori! These journals look great and something I might actually do ... in short bursts! After 5 years, I might actually get in the habit! Thanks for the chance! I am trying to get myself to journal but committing to writing a page a day is just overwhelming. I picked up an app the other day so that I can just jot a quick line about the day. So this journal sounds wonderful! http://gypsyroadbeads.blogspot.ca/ Hi Lori - I'd love the opportunity to win one of these 5 year journals - what a grand idea! Yeah here I am :D 9 months of waiting but it was worth it!!! Anyway keeping a journal is something I have always loved, and I regret stopping. This is a marvelous project. What a wonderful way to start the new year, with A five year journal giveaway. I have never kept a journal , I must be one the very few who haven't lol. But what a great way to start.doing so. 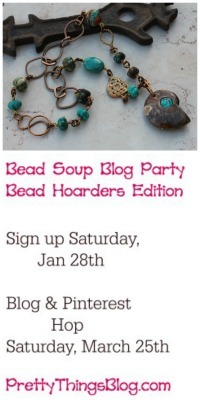 Looking forward to this years bead soup party as well. Now that sounds inspiring...this year was "Epic" for me....my parents passed, my husband shattered his ankle and was in the hospital 3 months....and the list goes one...I don't have tons of time but I would love to try and write ONE sentence a day for 5 years....who knows....my blog is veradesigns.blogspot.com. Thanks. Would love to win a journal!!! This is the closest thing I have to a blog going on right now. Hope it counts!! Sounds like fun. And may 2014 be a great year for you Lori! Wow, never journalled before, never even kept a diary...but always fancied doing it ! would love to be in with a chance to win one....hope you are doing okay too ! Well, I'm 35 and just went through a divorce after a disastrously short marriage. This kind of project would make looking back at my 40th easy and (hopefully) happy! My baby will be 6 by then! That is a great idea Lori and thank you for the opportunity. I have another idea for you - since this is the first month of your brand new life take pictures of all of these new discoveries (you are so good at photography) and then at the end of year go to Mixbook on line and make a book of your year. Imagine what fun it would be to have one of these "books" for every year as that beautiful young man grows to manhood. Now go and make some beautiful memories. Great idea. I was thinking about journaling recently and had wished I had started several years ago because it has been quite a journey. Now at 54, with my health back on track and lots of hope and plans for the future, it would be fun to look back five years down the road. I hope 2014 is a great year for you. Thanks! This would be awesome as one of my goals this year is to write more. Thank you so much for the opportunity, Lori. You're always so generous. A wonderful Give~away Lori! Your always so generous such an inspiration to others. Yes take each day and smell those roses that you didn't quite see! I haven't kept a journal is a while, but like the idea of keeping a running record of the next few years. I'm a big fan of The Happiness Project. Great give away.Have always wanted to journal-maybe with this I can really do it for 2014. For you Lori I hope it is a great year. This would be great to win since I have always wanted to try to journal. This might get me there. For you Lori I hope 2014 is a Geat year. So many things in my life have fallen into place over the last few months. How fun to track everything as it happens. I also just turned 45 2 weeks ago! It is going to be an epic run to 50...at least that is what I,m saying now! We will see in 5 years! Would love to win a journal! What a wonderful giveaway - thank you! What a perfect gift. I think that it is time I start journaling again. Thank you Lori! This would be great, I have a couple of serious 5 yr plans that I am starting right now!!! A journal would help me stay focused and inspired!!! My e-mail is willowdragon5782@gmail.com. I think it is on my blog which is willowdragon.blogspot.com Have a Blessed day! I can't wait for the hops to start they are so much fun!!! I would certainly love to win one of those journals! Your journey has meant so much to me, Lori. You've been so brave in sharing your life with us. Thank you for everything you do for the beading community! This sounds interesting! I'm game! In between blogs at the moment, though. In 5 years I'll be 40 so I plan to make the next 5 really count big time! What a great giveaway I'd love to win! Fantastic Idea. hmm what will I be doing in five years retiring hopefully I'll be 63 and totally ready for it emotionally but not finacially. Oh well one out of two isn't bad. Please give me a chance to win a journal and we will have to compare our pages over the next five years. I have read "The Happiness Project" and would love to win a journal to work with ! I have a passion for blank books and would love to win. thanks for doing this!!! What a beautiful idea! I too will hit 45 this year. Aaaargh!!! What a nice giveaway! I am raising my 2 girls over the next 5 years I am sure we will have lots of memories and firsts. It's time for me to start journaling again....thanks for this lovely giveaway!! 2014 will hopefully be both our year to be happy and, most importantly, healthy! What a wonderful challenge and a great giveaway! I'll definitely share on my FB page and on twitter. No blog this week, I've got 3 grandkids here or I would put it out there also. I do love blank pages! I want in! I would love to this. I have thought about doing this for yrs, but never have. I was going to make my own journal...but seems like life and beads seems to get int he way!!! What a great idea to spread the love of writing and journaling - if only I could be as entertaining as you. I haven't kept a journal in years. Maybe its time to start! 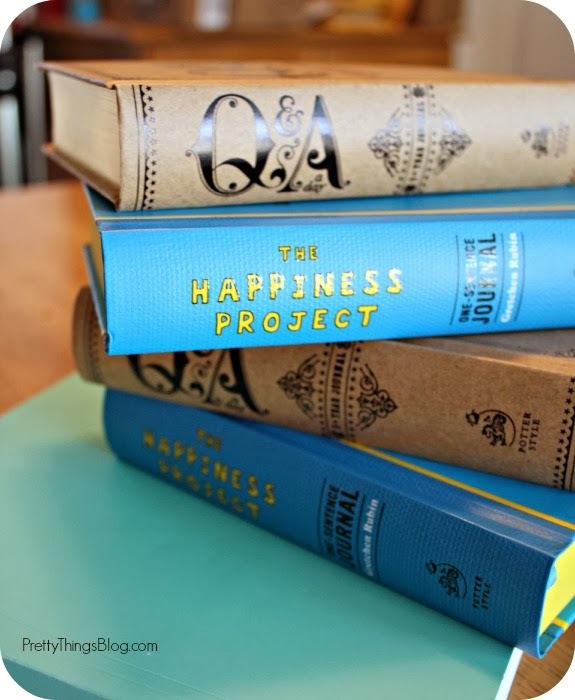 I loved the happiness project and had my book group read it last year, and I love the idea behind each of those journals. What a lovely idea to pass these on to others. Thank you, Lori! What a great idea. You are always such an inspiration! Wow, you're amazing, Lori! you inspire me! Thank you! I really like this concept - the Q&A is an awesome book. This year has to be less pressured for me because if I don't take care of me, I can't care for my husband. zenithjade@yahoo.com is my email. Not sure if it's listed on my google+ profile or not, so here it is to be sure! I was just told about the happiness project about a week ago. Have yet to read about it but it is on "my list". I have also just retired so maybe a journal about what it is like to NOT work at a fulltime job would be a kind of cool thing to do. I am 2014 is good to you and that only good thing and positive energy comes you way Lori. Happy 2014 to you, Lori! Here's hoping it's a healthy and happy one for you and your family! What a great idea - journaling from now until fifty! It will not only be a wonderful look back for you one day, but it will be a present to Zack that he will dearly appreciate - an intimate look at his mom's thoughts and feelings. I love the idea of a one sentence journal. I used to journal daily, but fell out of the habit with 'life' getting in the way as I got older. (I'll be turning 44 this year). I think I would like to use one of them as an inspiration journal - posting ideas, swatches, inspirational quotes, photos and such that inspire me to create or be a better person!! I haven't written in a journal since the 70's. If I don't win one of the journals, I might get one myself. Wow these journals look amazing and a great idea! Thanks for the chance Lori! This is such a great idea Lori! I was actually thinking of starting a journal this year myself anyway, so if I'm not lucky enough to win, I will start one anyway! Thanks for sharing these titles with us. I think living in the moment is a great idea Lori and I wish the very best for you in 2014. I will be 46 this year and I think it will be interesting to see what the next 5 years brings! Thanks for a chance to win. Writing in a daily journal is something I've been meaning to 'get to'. I'd love to win one of those lovely journals to get me motivated. I have written a journal on and off for years. Currently I write in a journal for my 2 grandkids. 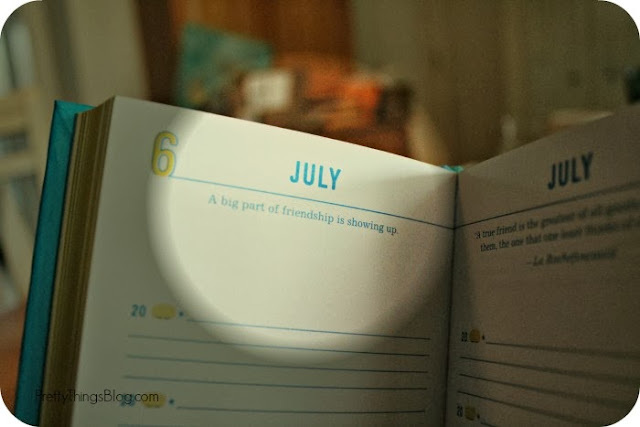 When we spend time together I write about it in each of their journals. What a fabulous journal! I want one even if I don't win one! I used to journal and haven't in a long time so this would be a great way to get back into it! Thanks Lori! Carrying through on using the journal for 5 years would be a major accomplishment in itself! Journaling is my goal for 2014, I really feel the need to connect with paper and pen. I might blog the journey, might not. I may keep it for myself to grow and enjoy. This is such a lovely give away! 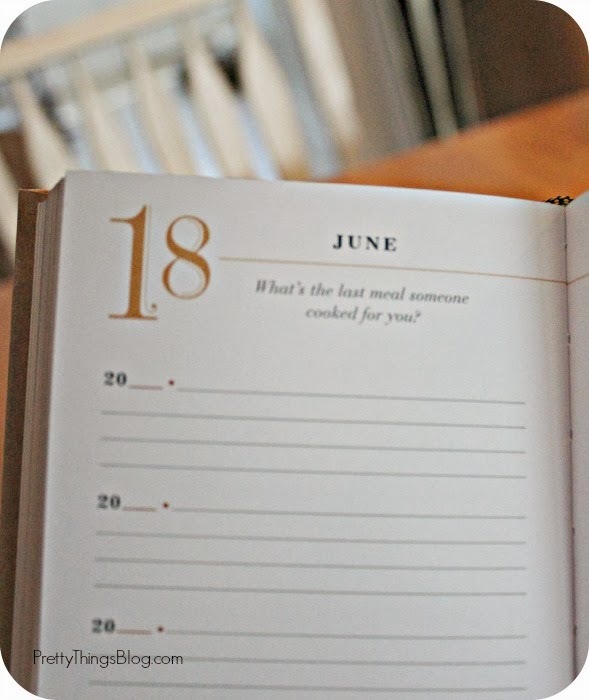 Wonderful idea, I have journaled for some time and it is my moment to myself, I would love one of your journals! This is a wonderful idea! I've got something in the pipeline along these lines, because this is a big year for me - so many changes! Wish you and your family a wonderful 2014! What a great giveaway, I would love to win one of those journals! Oh, there is definitely much I want to experience in the next 5 years. Three years ago, my husband and me went on a 1 year world trip (www.weltreise.name). My first son was born in June 2013, and this September we are going with him on a short world trip (6 months). And if everything goes right the second child will mean the next journey. Family on the road! Sounds like a wonderful idea...especially the five year part. Will be able to take a look back at all that happened! Come Rain or shine, good or bad, everyday brings a ton of blessings that are all noteworthy. Happy new year! I would love to win! While I don't journal myself, my niece loves to have notebooks to write things down in! I think these journals are a wonderful idea! 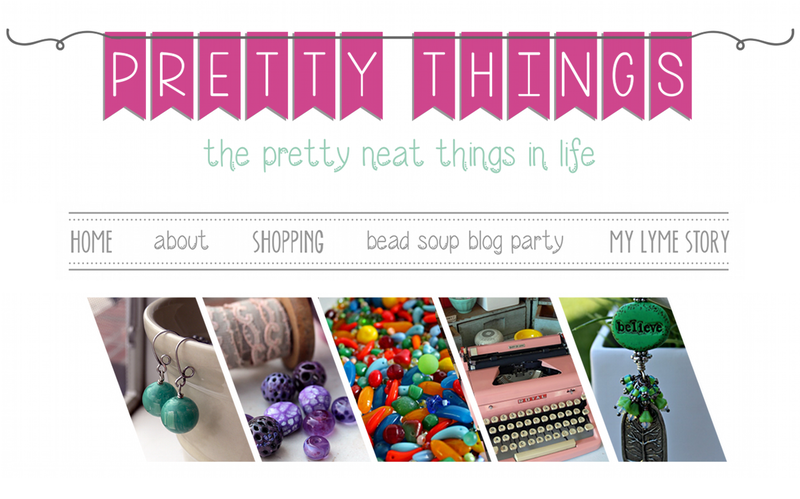 My blog may be about quilting, but I also make jewelry and love your blog. very nice idea,do really need to do that! lots of things are lost in mind memories! sounds like a very interesting challenge! <3 and anything that gets me journaling on a more regular basis would be wonderful! Thank you for your friendship and continuing to be an amazing inspiration!!!! How awesome of you! I would love to win one of those journals! The 2 you mentioned with prompts and quotes sound like lots of fun but winning any of them would be great! Thanks for the chance! Great Lori! If I don't win, I might get one for myself anyway. A great way to write everyday. I could use some journal reflection. I kept a journal for a long while then stopped. It could be time to start again. I,ve seen these and they are great, thanks for the contest. Wow! Thanks for the fun giveaway! I actually looked at buying this book for myself not too long ago, but ended up getting another kind and gave it to my little cousin for Christmas. Would love to have a copy of this for myself! :) Happy 2014 to you! I don't expect to win. The purpose of my comment is that I think it is great to see these blogs and hope it really encourages people to journal on their own. I am going to write a child's story for 2014. Thank you. What a wonderful giveaway! I don't yet have a blog, but's on my list to do this year. I DO journal tho! How wonderful of you to do this Lori. I lost my job five years ago and ask myself, what have I done?! Journaling the next five is just what I need to do. A thought - it would be fun for you and the winners to periodically read/share your entries for a specific day during the five years. Wishing you all the best in 2014...day by day. what a glorious & generous giveaway!!! These are sure interesting - as usual, a lovely giveaway. Lori, I hope and wish you have a fantastic in-the-moment 2014! May your days be filled with joy! Yes please!!! 2013 was the worst year of my life(brain tumor, surgery, radiation, hair gone, people asking if my hair is growing back yet--heck my head hasn't grown back together yet and what's growing out of it looks more like cobwebs then hair!) I am so glad it's over--2014 is going to be amazing--I would love to have a journal to keep track of it! I think I am too late for the drawing but I want to wish you a happy new. You had a lot of hard ships last year but still acccomplished more than most people do in a life time. I cannot wait to see were you are in 5 years. I hope you will continue to share your wonderful life with us both the ups and the downs. That is life. 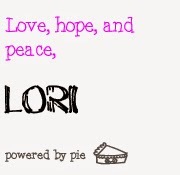 Lori, I just read the comments people left you and I am totally inspired. I am going to keep a journal for the next five years. I will start today. I read the first step in fulfilling your dream and goals are to write them done. Goals and Dreams will be my first entry. Thank you Lori. PS Will be the first time in my life journalling. What a wonderful giveaway. I would love to journal about my 'retirement' life. Thanks for the chance to win. Great and generous giveaway Lori! Yet again you've inspired all of us. Please add me to the list. even without winning this is something I may consider. I missed it but stopped by to say Happy New Year!